The weekend has come and gone with little change in the weather. This however did not keep Hannah and myself inside the whole weekend. 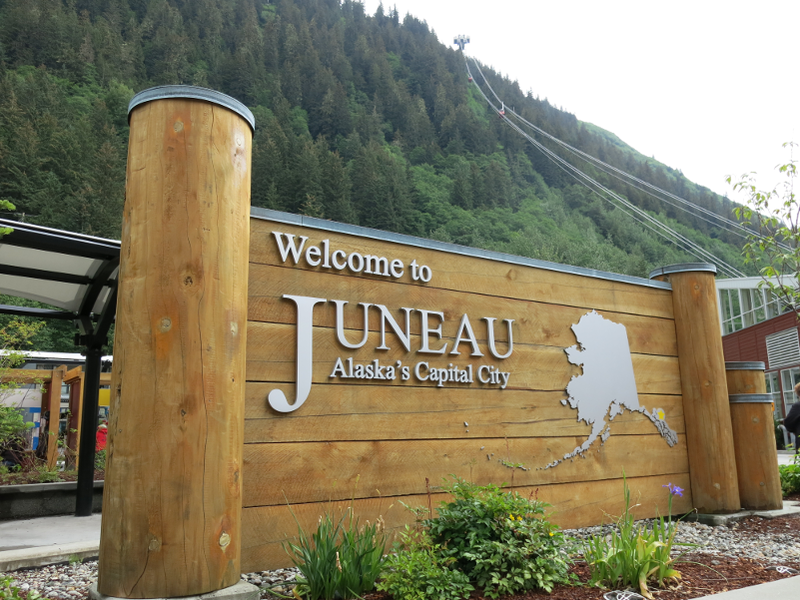 We went outside anyway to try and make the best of things regardless of the fact that mother nature clearly has a vendetta against Juneau right now. 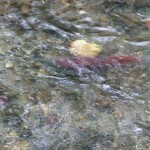 We took ourselves out to Mendenhall Glacier in hopes to see some of the Sockeye salmon making their run up stream. When we got there we were lucky to find a decent parking spot because the park was packed with tourists from the cruise ships docked in town. 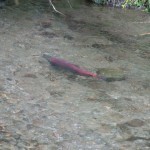 We manage to see a few of salmon and take some pictures of them, but over all the rivers where pretty bare of fish compared to other times we have gone to see them run. 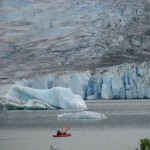 Looking out into the glacier bay we saw kayakers paddling in front of the glacier. It was quite the site to see. 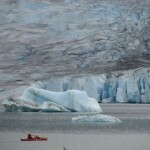 These people in their little boats with the glacier towering over them. 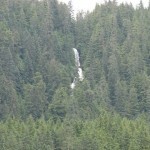 Just another day in Juneau with people making the best of bad weather.